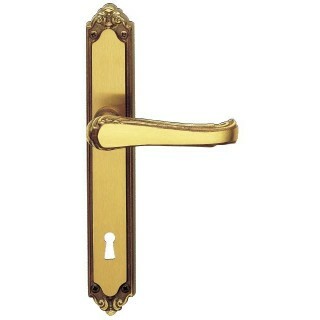 Door handle Lady by Ghidini, made of brass and aluminum. Placed on oval back plate. Center distance: Distance between handgrip and key hole.